I hope you all had a fabulous weekend! 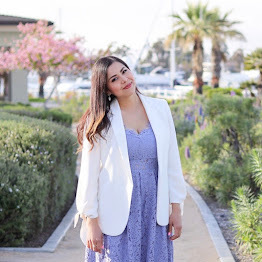 I can't wait to share the pictures of this past weekend including our first San Diego Style Bloggers meet up that Rachel and I organized! 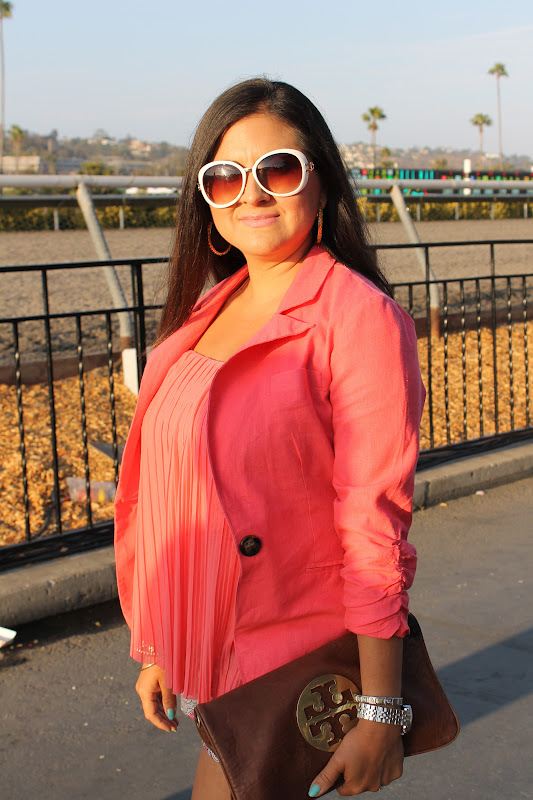 But first, I wanted to share these beauties courtesy of my great photographer sister and a nice day at the Del Mar Racetrack. 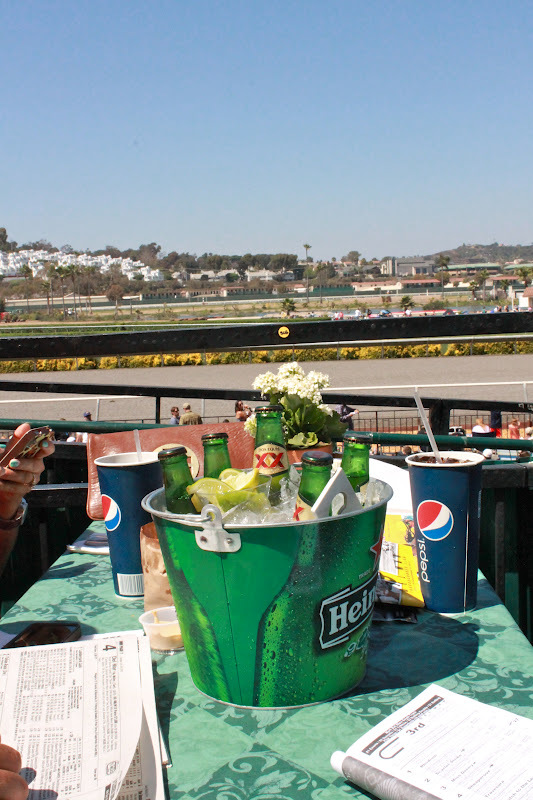 It has become our "couples tradition" to get a table trackside, enjoy food, drinks and of course, bet on some horses! Lucky for us, my brother in law's uncle owns a horse that was racing that day and he was generous enough to give us some "owner" parking which came in super handy as thousands of San Diegans headed into the track at the same time! Unfortunately his horse didn't win, BUT I broke even with a few losses and a couple of wins! To end the day, we watched a free concert from Los Tucanes de Tijuana, which brought back so many memories of the good ol' days partying in Tijuana! Hope you like the pictures and hope you have a great day! Sunnies: H&M, Lipstick: Mac "Ruby Woo"
What a fun day! I love your outfit, especially those pants. Your sunglasses are stunning! I am all in for your shirt, love the sheer, the color, the knot. hey pau! looks like you had a great day! love that cuff, and you look great! This is a very very classy outfit for a day with friends. i love it! Have a nice week! you look amazing!!! thank you for everything!! I have the same pants and love them, you look great! The racetrack looks so fun! What a great day! 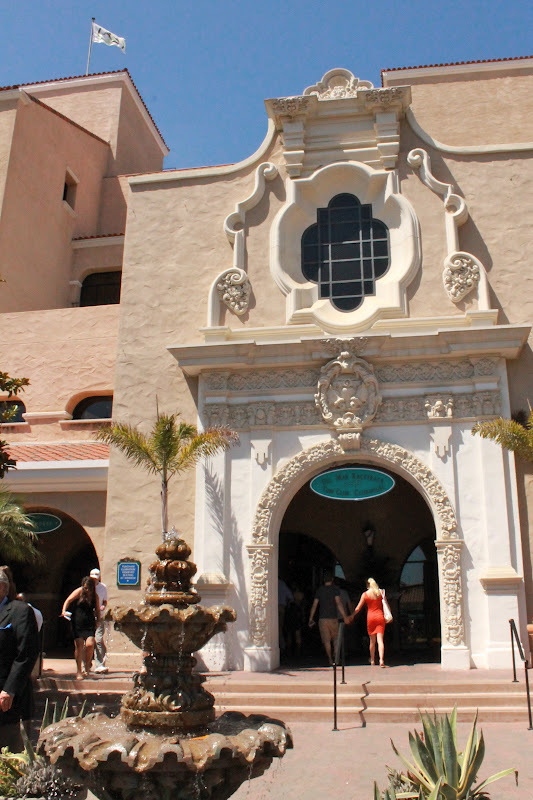 I went to the Del Mar racetrack a few years ago and it was so much fun! I have friends that live in San Diego! Love your outfit!! 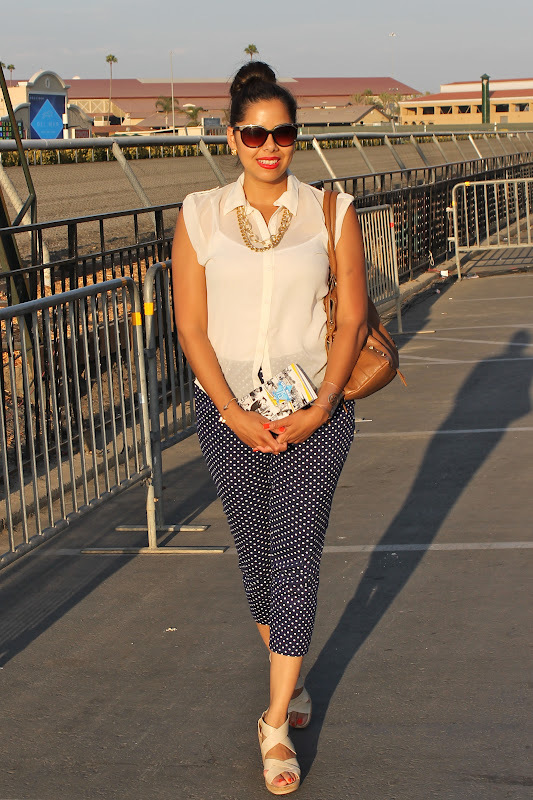 ..this polka dot outfit is so super chic , you look like a movie star .. I love this whole look! You look great! Honey you're looking stunning and definitely rocking the polka dots. Gorgeous photos. Sounds like you had such a great time and you look fab as always! What a great couples tradition I have never been to an event like that and you look absolutely stunning I love the polka dots and your lip shade. My aunt she used to listen to Los Tucanes that was years ago. WOW! 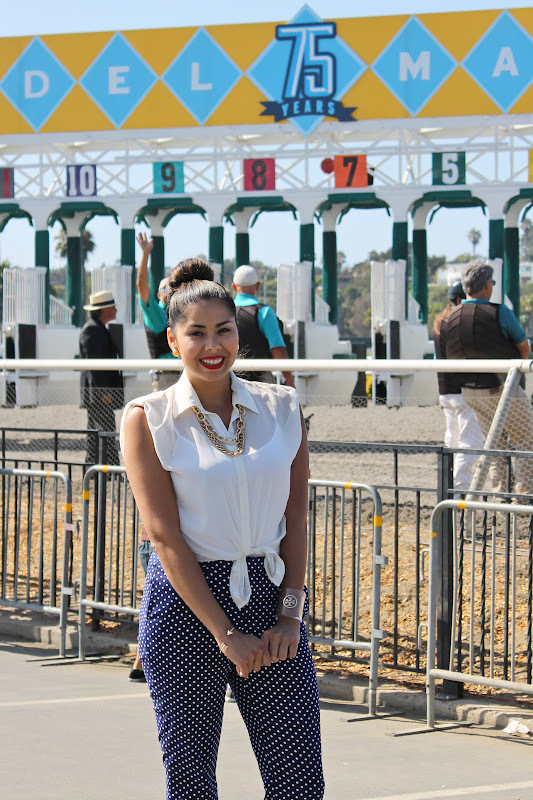 Looks like great weather to be at the racetrack :) Great photos! You & your sister look beautiful! Such a classy look:) You and your bf are too cute Pau. Him and Jess look so much alike. 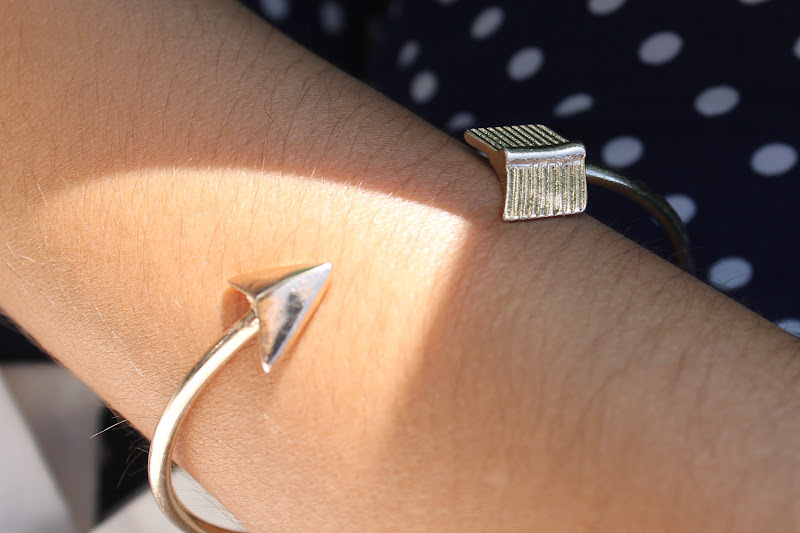 Looove the arrow bracelet :D Things with hidden details like that is are cool. And I've always wanted to see a horse race but I've never got around to it. I hope all the ponies are treated well :) They're so pretty! You look so pretty for the day at the track! 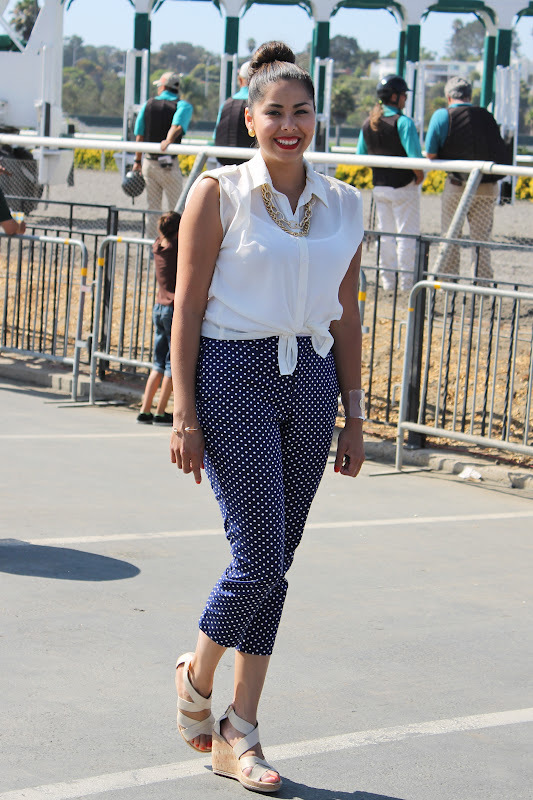 I went to Churchill Downs (my first track experience) this spring. It really is a lot of fun! Congrats on your wins! Looks like you had a great time! i love that tory burch cuff! and your outfit is adorable :) you look wonderful! and i love your sunnies! That beer taste realy good hahaha and I loved your ourfit!